Some may still think of Longyearbyen as a small, remote and dusty mining settlement at the cold end of the world, but the times when this was actually the case have been history now for decades. Today, Longyearbyen is very much an alive and culturally active place with an international population and atmosphere. 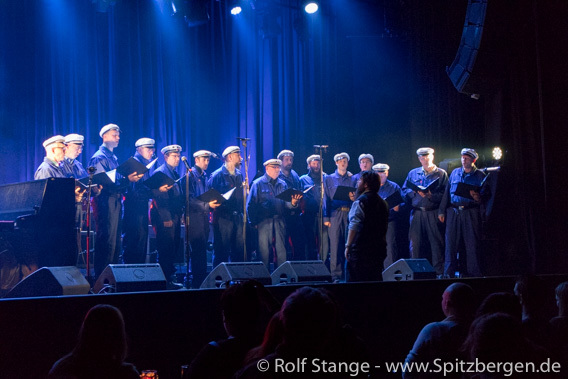 The Store Norske Mannskor, here seen at the “Vorspiel” of the Polarjazz Festival 2019, is one of Longyearbyen’s most popular musical acts. The local culture scene is home to an impressive number of choirs and other music groups. This is the fertile ground where several music festivals were born, some of which have made it into the calendars of international fans. Next to the Dark Season Blues Festival, which happens in early October, there is the Polarjazz Festival going on under the motto “Cool Place Hot Music”. 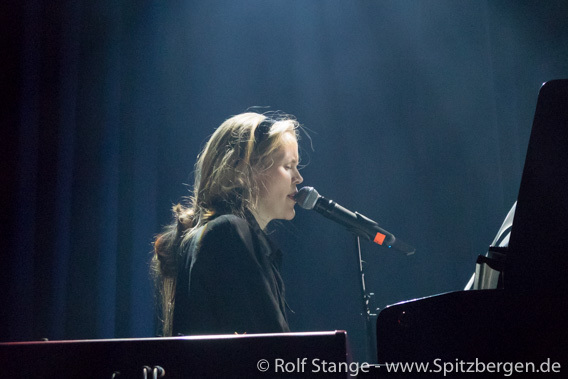 The opener is the so-called “Vorspiel”, which happened Wednesday (30.01.) evening in the Kulturhuset (culture hall) in Longyearbyen. An impressive number of local acts took the scene, from young, fresh talents through the popular Store Norske Mannskor to well-established artists like the local singing bird Liv Mari Schei who has a record catalogue of several CDs. Liv Mari Schei: well-known singing bird in and from Longyearbyen. Advance ticket sales were behind execptations, but at least at the “Vorspiel” there were about as many in the audience as would have found space. People were sitting on stairs or wherever there was space. Well-established artists from Norway will take Longyearbyen’s various scenes during the next days.